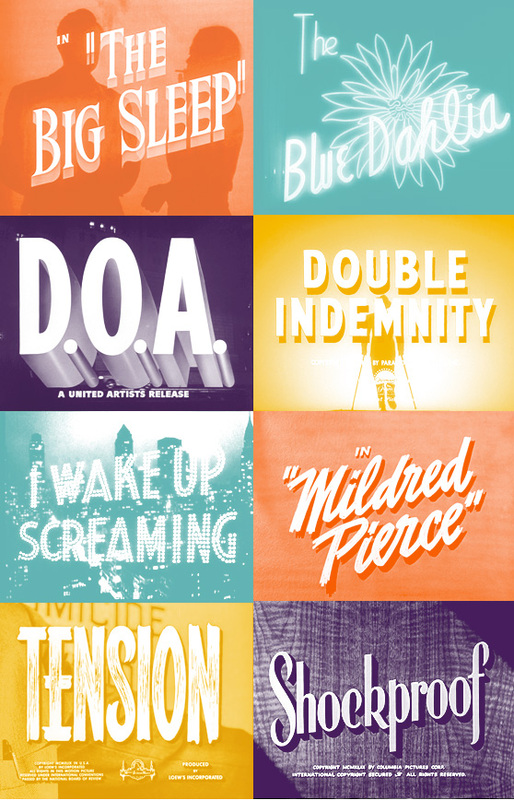 A favorite place of mine to troll for typographic inspiration is with classic Hollywood film titles. 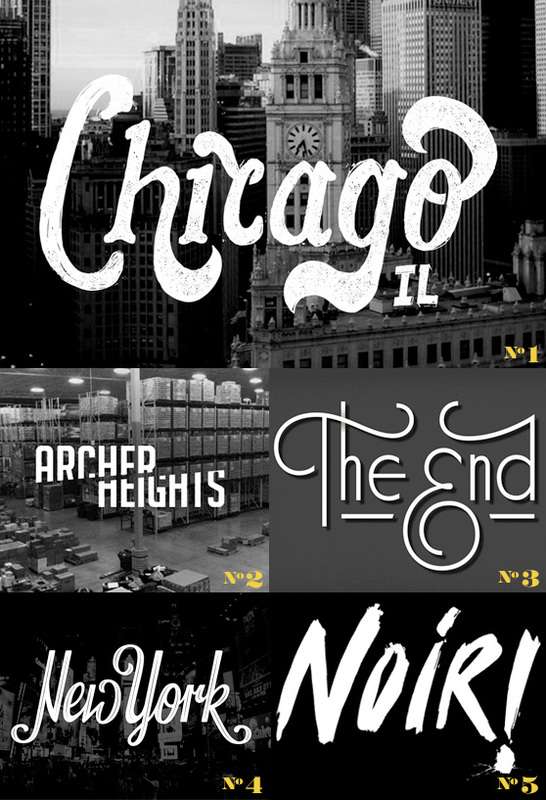 Above is a collection of my favorite title sequences from noir films of the 1940s and 50s (I couldn't resist throwing a color scheme on top of these black and white beauties, probably somewhat defeating the noir feel). If you're not familiar with the genre, a great description, by Roger Ebert, is "a movie which at no time misleads you into thinking there is going to be a happy ending." If that doesn't catch your attention then these opening typographic treats will. The titles conveyed the dark tone of the films, often foreshadowing the pivotal moment when things would turn black. Can you remember the last film titles that captured your attention? This is definitely a dying art in cinema in my opinion, but I'm glad to say it is alive and kicking in the design community. Below are some of my favorite finds around the web recently.